Zombies are were people too! Escape routes, defense plans, survival kits. Enough is enough! Zombies have gotten a bad rap, and it's time the redeeming qualities of these brain-eating (but potentially lovable) creatures come to light. 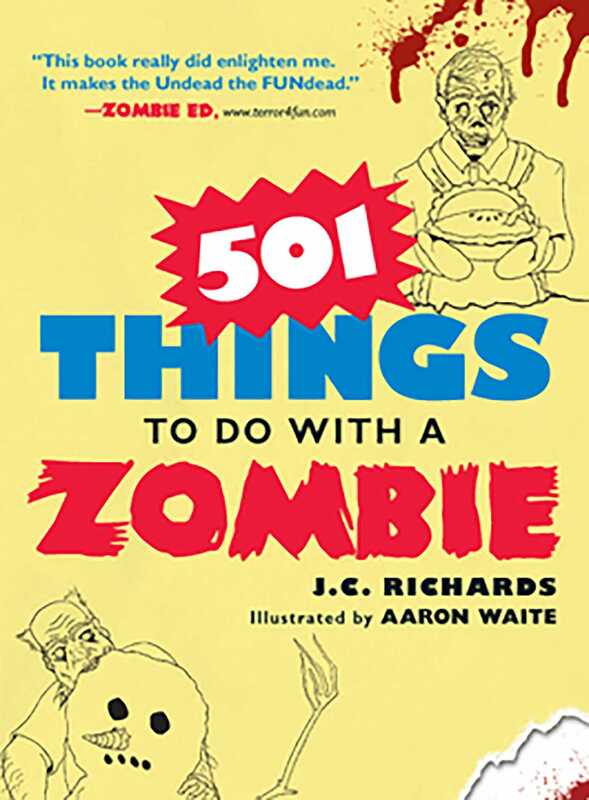 Enter 501 Things to Do with a Zombie. Inside, you'll see that the undead make the perfect sidekicks for just about anything you've got going on. Can't convince a buddy to join you in karaoke? No worries! A Zombie never suffers from stage fright! Looking to take a leisurely stroll through the local farmers' market? Zombies know the secret to picking out the freshest tomatoes. Need to negotiate a new cell-phone contract? Bring a Zombie along to get out of the two-year commitment (he can strong-arm the sales repthat is, unless it's missing). Sure, Zombies may have rotting flesh and nasty viruses, but don't we all have our faults? Open your mind and open this book for inspired ideas on how we can all learn to get along.